Are you shopping for the perfect storage solution? We know you have plenty of options here in Little Rock. But you should know that Modern Storage is a little different. A lot different, actually. 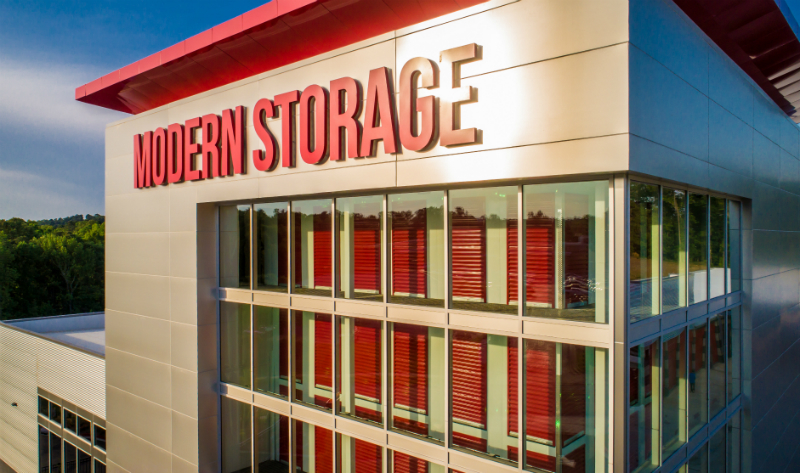 There’s a reason why we named our company “Modern Storage” instead of “Just Another Storage.” The Modern Storage difference is that we are making self-storage more modern in so many ways. What Makes Modern Storage the Best Choice? There’s a lot of competition in our area for your attention, so you deserve to know why Modern Storage is the best in the business. Here are the five big reasons! When deciding what would make Modern Storage different from the rest, we realized there was one crucial thing most facilities don’t offer their customers: a FREE moving truck! Moving and storage go hand-in-hand because you have to MOVE something in order to get it into your unit. So, it doesn’t make sense to avoid offering our customers a solution that removes this pain point from your experience. At all three Modern Storage locations, we offer nothing but the best for our customers. With the reservation of any storage unit 5x10 or larger, you can take advantage of our FREE 15-foot box truck. Can we get any better? Why, yes. Yes, we can. Another important feature we felt Modern Storage customers deserved was FREE package acceptance. At any Modern Storage location, we will accept any deliveries on a customer’s behalf and keep them safe and stored until you have time to come by and pick them up. You’ll never have to worry about missing packages again! This program is fantastic for anyone. Just let us know you’re interested, and we will keep a lookout for the delivery truck. If it’s during the holidays, if you have a business, or if you just want to keep your packages safe, you can benefit from our free package acceptance program. Sometimes, a storage need pops up last minute. Maybe you need to relocate quickly, sell your home, or you’ve run out of room at your office. In any case, it doesn’t make sense to lock yourself into a long-term lease at the average self-storage facility near you. But, here’s the Modern Storage difference: our leases are ONLY month-to-month. No more worrying about long-term commitments! Did we also mention that there are NO upfront deposits or fees? How awesome is that? We even prorate you into your first month with us. Ready to become a customer now? It’s easy to rent and pay online right here on our website. Not ready yet? We’ve got a couple more things to tell you about the Modern Storage difference. Taking a look around, we noticed that most Little Rock storage facilities don’t offer much beyond the standard storage units. Usually, there is a fence and gate. Maybe they have an on-site manager. But, you deserve MORE. So, at every one of our access-controlled storage facilities, we do just that. Not only do we have 24-hour video surveillance, we also offer 24-hour access (for just $10 a month), climate-controlled units and non-climate-controlled units, covered and uncovered parking spaces, moving supplies, unit locks, on-site managers, and more. The amenities are unbeatable! At our West Little Rock location, we even have individual unit door alarms (you can monitor from an app on your phone), a coffee bar, a business center, and wine storage (coming soon). Plus, you can reserve any unit, rent any unit, and pay for any unit online 24-hours a day. Don’t you think this is a much more modern way to store? There is one more thing we offer that makes us incomparable to the rest, and that is our excellent customer service. Every Modern Storage staff member values their customers and will climb mountains to make sure your experience with us is above and beyond anything you expected. Our team of storage experts will make sure your every need is met! It’s all part of the Modern Storage difference. Stop or call any one of our three locations today and let us prove why Modern Storage is the place to be!